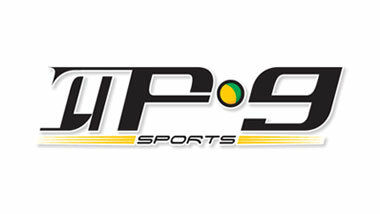 The MP9 SPORTS is a company created in 2004 in order to provide quality support to the professional soccer players and their families, touting athletes, providing legal advice on signing of contracts in Brazil and abroad thus giving tranquility to the athlete to perform their job inbounds. Through its founder, Mark Paul, former athlete and licensed agent since 2003, our company closely monitors its athletes providing services: sports consultancy, financial, legal, marketing and personal travel assistance, in addition to maintaining a relationship of friendship and fellowship with those in the responsibility of caring for their business. We use our experience in Brazil and abroad, through international partnerships, in order to put our best athletes in the world markets. Former professional football athlete served for 15 years in the big clubs in Brazil; Botafogo, Joinville, Gremio, Cricklewood and Bahia addition to your outdoor experience acting for four years in Japanese football, and thus transfer the athletes he works with all his experience gained from years of working on and off field. FIFA licensed agent / CBF Issue 258 since 2003, Mark Paul is acquiring partnerships with major professional best foundation to provide its athletes with the best possible advice. Marcos Paulo believes that the success of their work is in their trust in God and the relentless pursuit of honesty and what is best for the athletes. For the word of God tells us: “Seek first the kingdom of God and his righteousness and all other things shall be added.” Mt 6’33″”. Rodrigo Silveira is also a former athlete Futsal as the creator of the MP9 Sports, Marcos Paulo who was one of the greatest strikers of this state’s football. Degree in Physical Education from Univille and with various specializations in the football area, Rodrigo has a large experience in the field, one of your most important experiences was in North American football, where he spent some time watching the team of Los Angeles – Soccer Club.